Set your style in double quick time with Redken Quick Dry 18 Instant Finishing Spray. Use the spray for a fast, firm, fuss-free finish that will last all day. 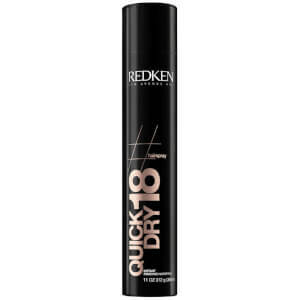 The quick-setting formula is perfect for men with busy lifestyles who want a quick fix for their daily hairstyle.